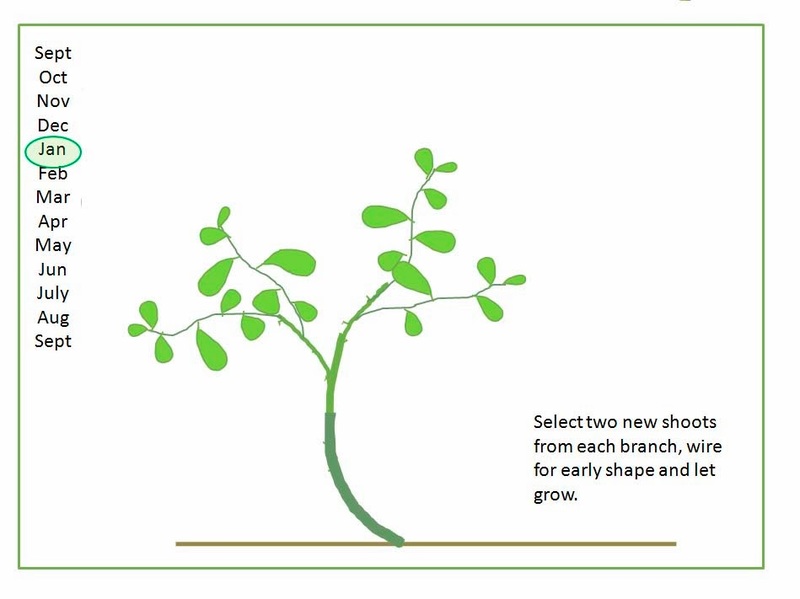 In my bonsai societies that I'm a member of I see a lot of folks in the first years of their bonsai journey struggling with visualising a development pathway for developing a bonsai from scratch. 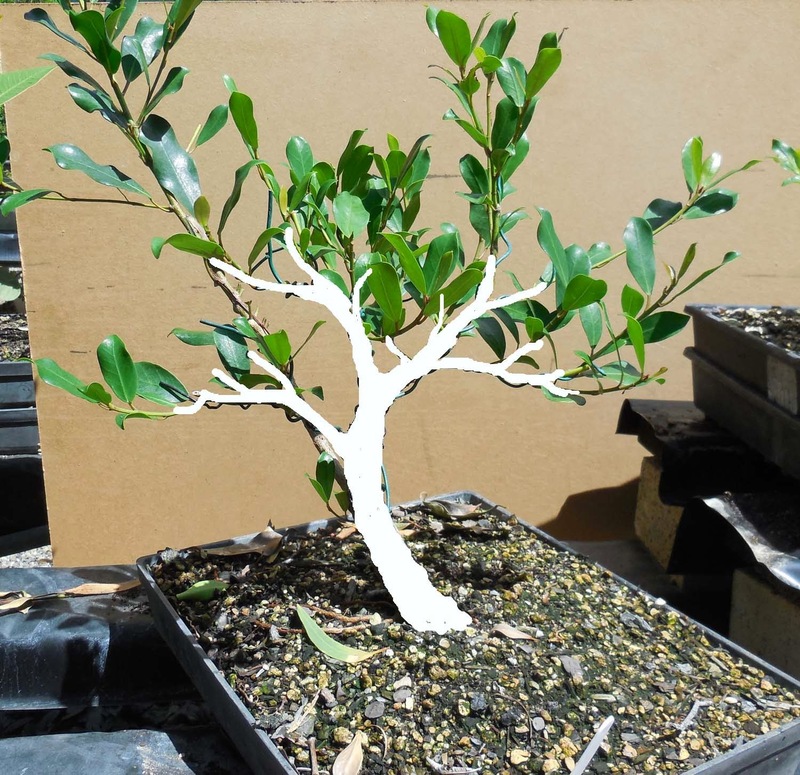 Looking at a picture of a mature bonsai just adds to the confusion of how to get there. People often are impatient for a result and this pushes them towards the preshaped stock plants which are often not helpful in developing this vision for what is possible. I think they add to the confusion sometimes because of the restricted flexibility in the design options they can offer and the more complex horticultural techniques and precedents that need to be followed to correct flaws.There is nothing quite like the blank sheet of a seedling or cutting to really see the possibilities of designer bonsai - that is a capacity to grow one to a preconceived design. 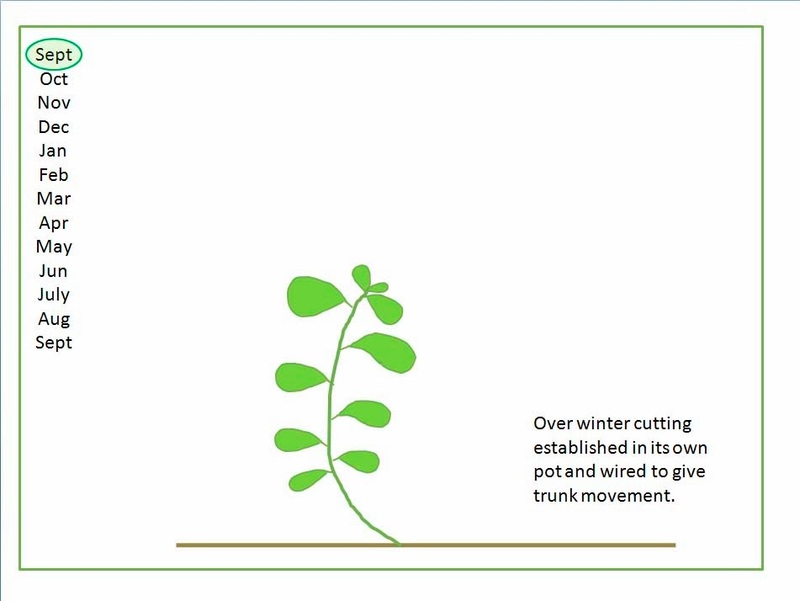 In many ways cuttings and seedlings are also sacraficial and so they do foster that all-important horticultural experimentation. 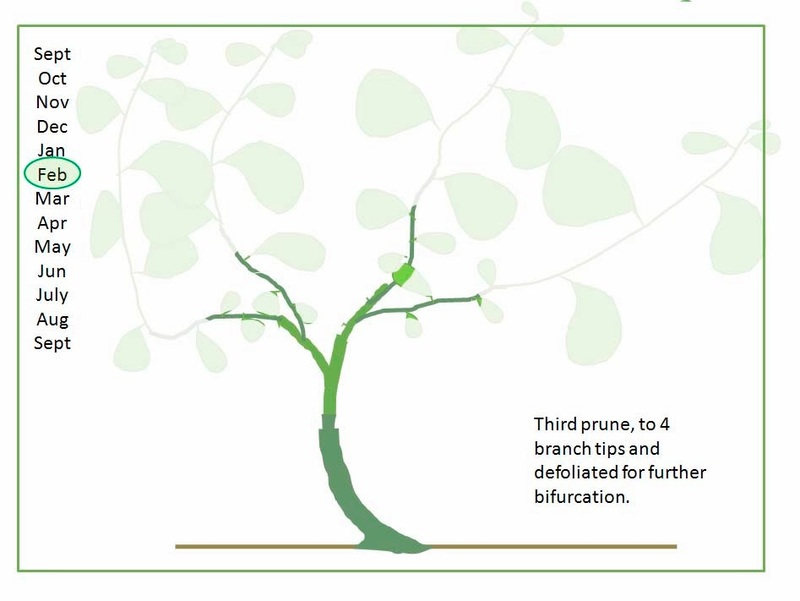 There is also the preconception that it will take too long to develop a tree from scratch, but with the right species selection that need not be the case. Living in the subtropics offers us some great advantages. 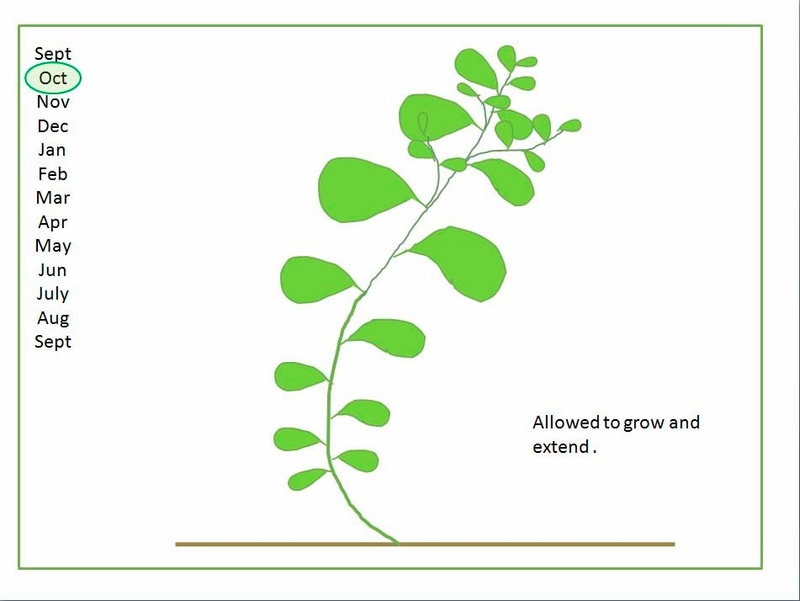 We have access to fast growing species that only pause during a limited winter period. 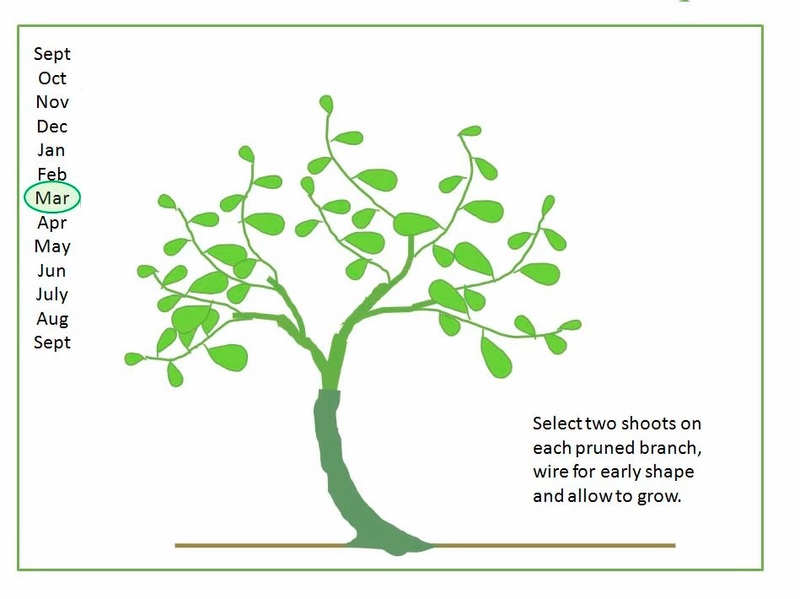 I'd to think that you can start with a single stem cutting of a ficus for example and turn it into a very respectable bonsai in 3 years. I' ve started down that path this year and recently put together a presentation to illustrate the possibilities. 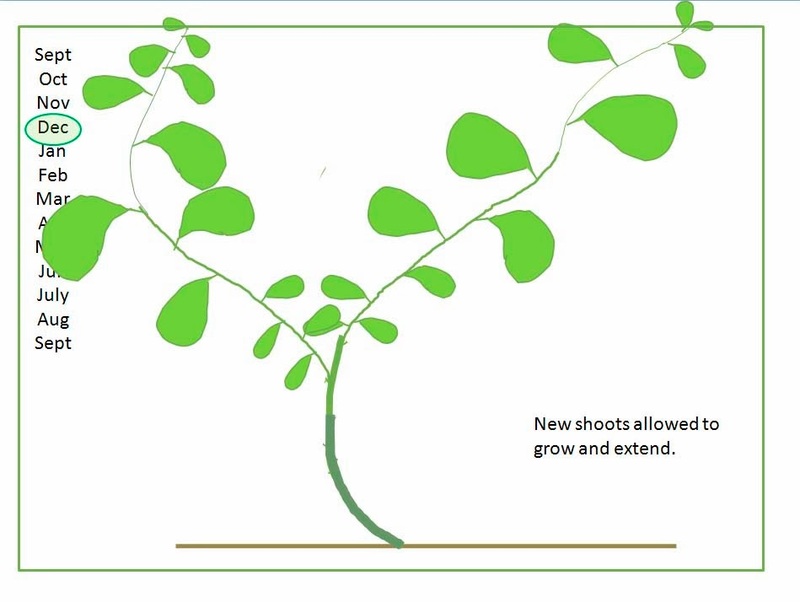 The heart of this technique is the promotion of spurts of unrestrained intensive growth. The objective is to build structure as well as girth. 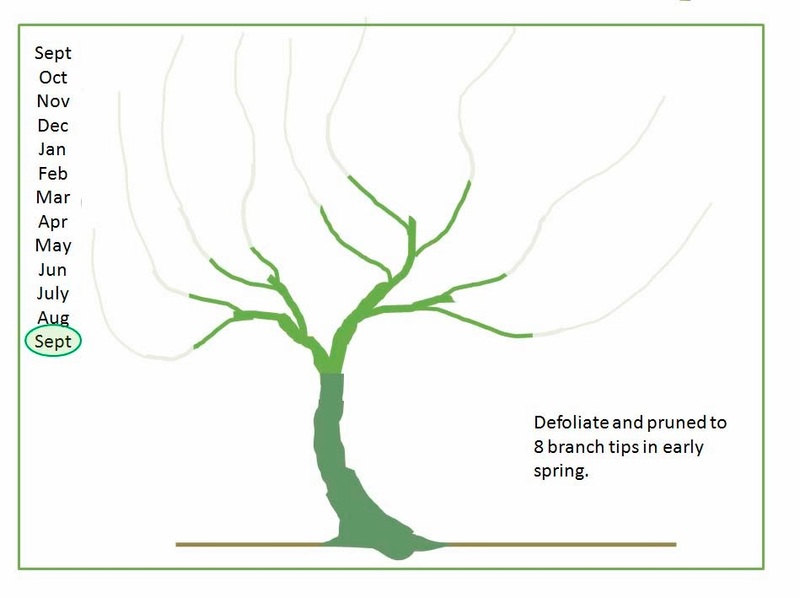 You can build structure without girth by restraining the growth and continuous tip pruning and you can build girth without structure buy growing a stump to put branches on later. Both of these option create difficulties and visual flaws. It is possible to take the middle path and do both at the same time to get a better result. One of the greatest challenges of bonsai development is unrestrained apical dominance. 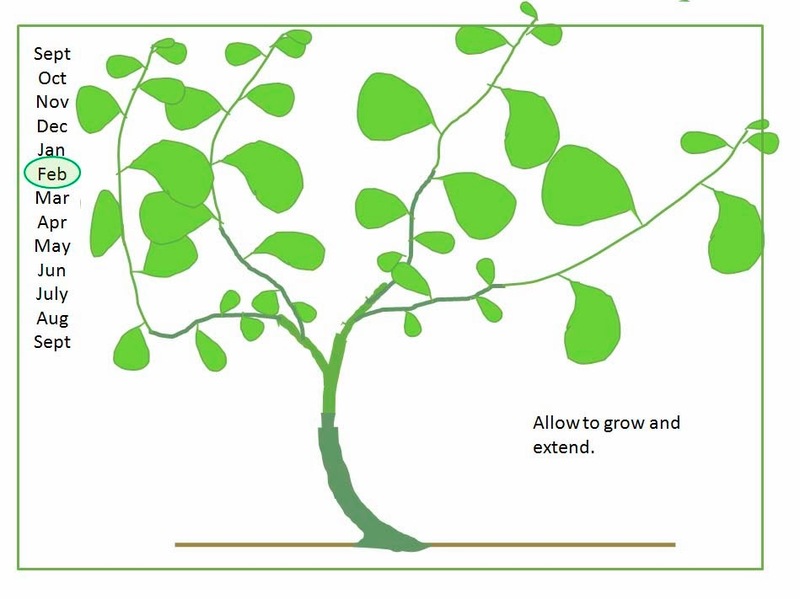 Through this or any other development path the sacrifices you might have to make to restrain apical dominance in the interests of correct branch proportion is well worth any retardation in the overall process. Never let a branch get left behind; it's always a long hard road to have it catch up. 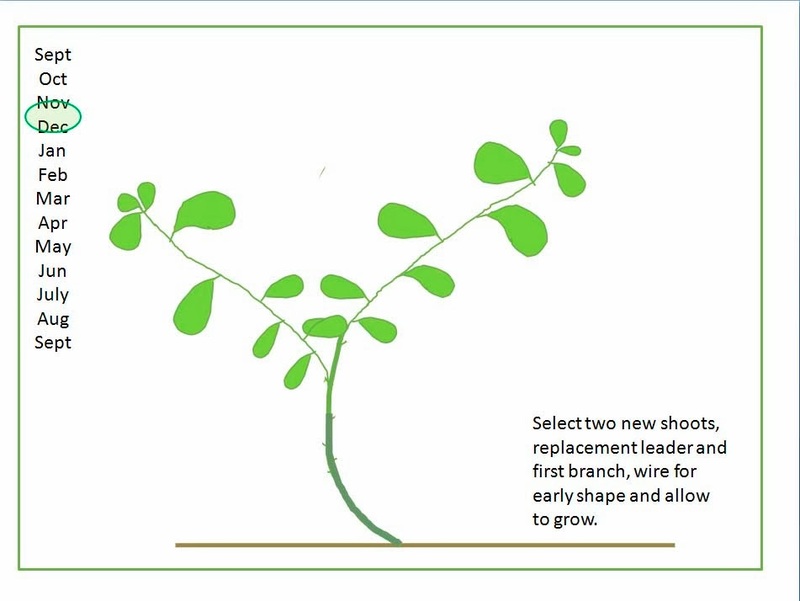 By restricting shoot selection to two you are optimising the development of the selected branches and by opting for consistent bifurcation (into 2s) throughout the process you avoid building in structural flaws that only sometimes become evident later. 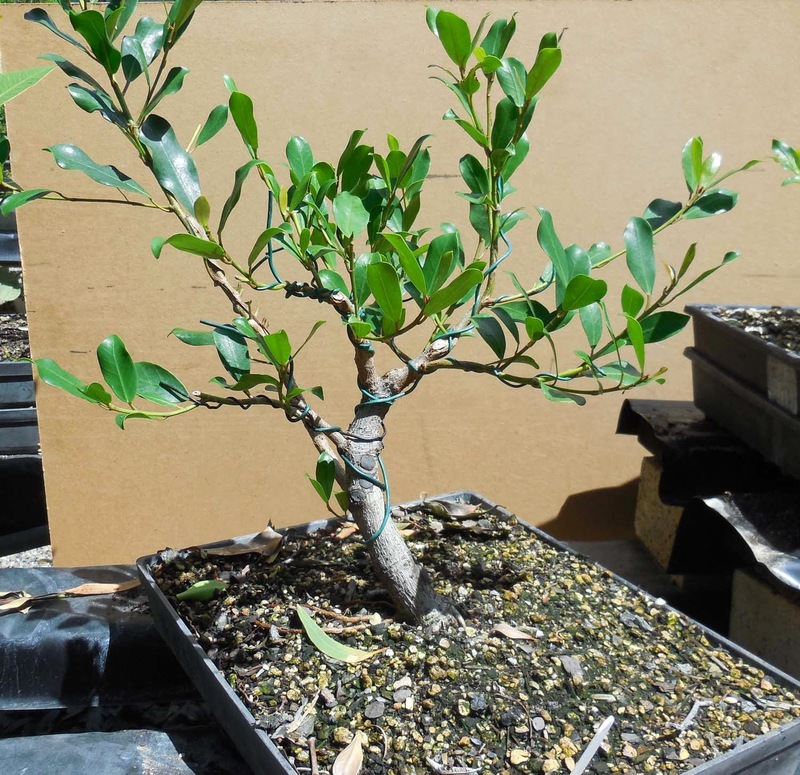 As I said I started this process last September with a cutting of an unidentified ficus. Some have suggested it is Natal but I'm not sure. Anyway here it is. 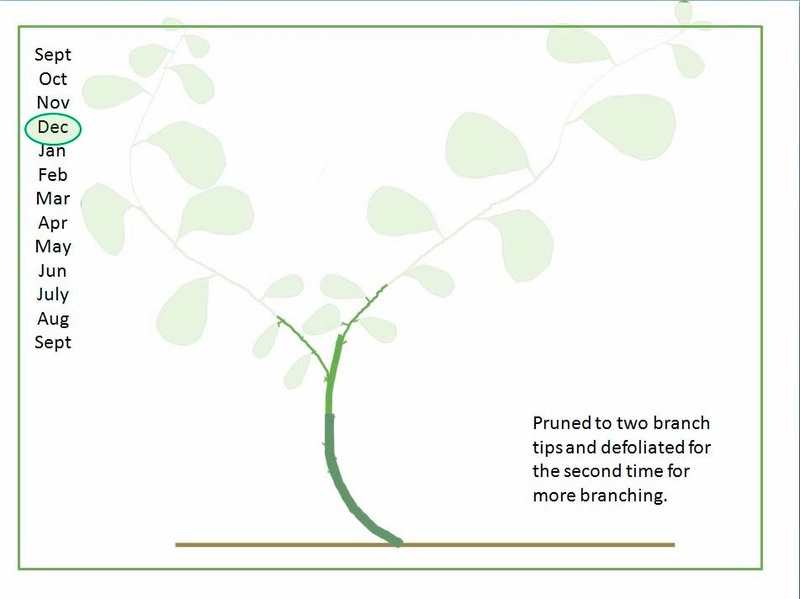 The one difference between the real tree and the presentation is that I have kept one of the old branches as a sacrifice branch (the one going up to the left rear). At this stage the trunk is about 25mm diameter and I have good primary branch structure in place for a small bonsai. 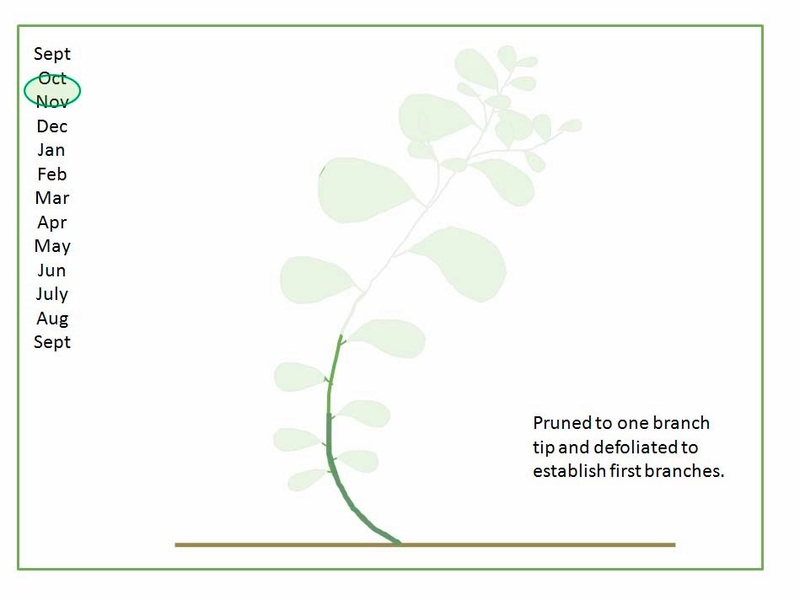 In the second picture I've over-sketched the trunk and principal branch structure. 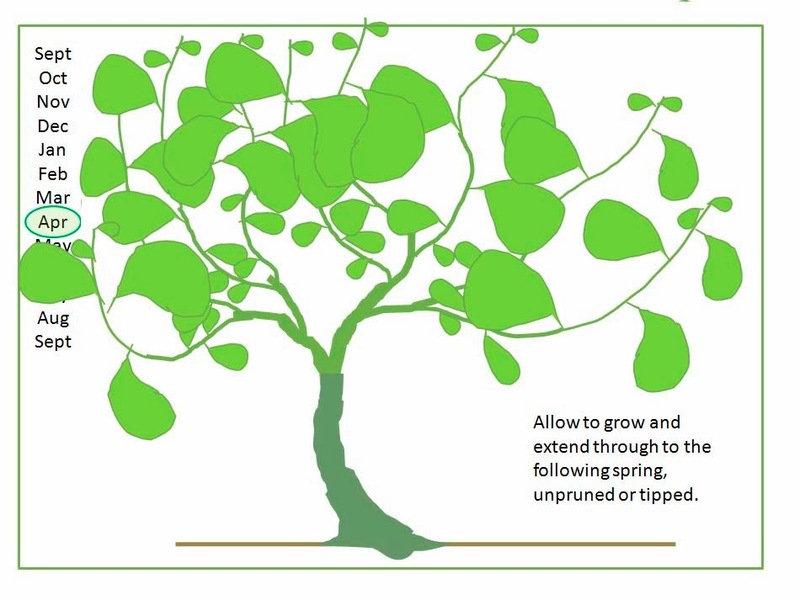 In late winter/early spring I'll root prune it to give it some more root space and then embark on another three grow/cut cycles. After two years of life it should be a very nice little tree. The same principles can apply to other species, though with fewer cycles each season. 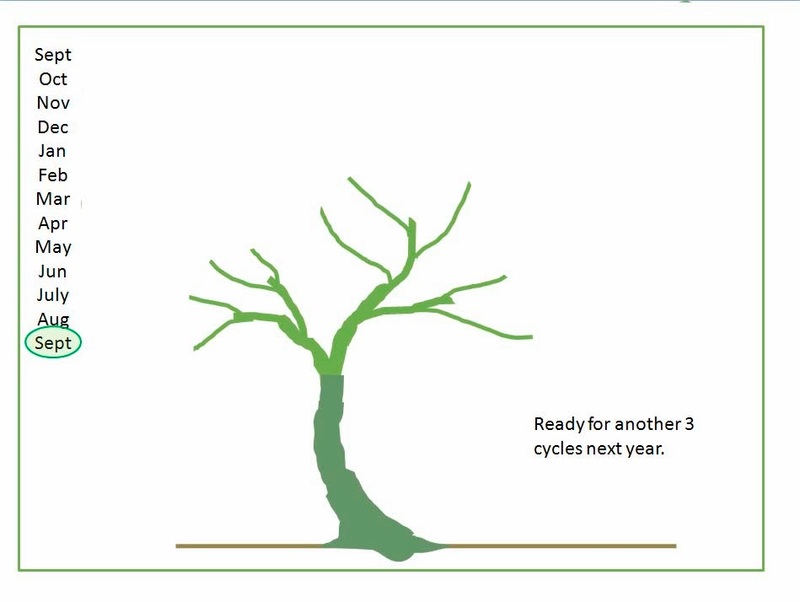 Elms for example in our climate are easily good for 2 cycles which is probably enough given their relatively slower growth habit. Clearly you wouldn't even think about this for a juniper but bouganvillea is a great candidate. 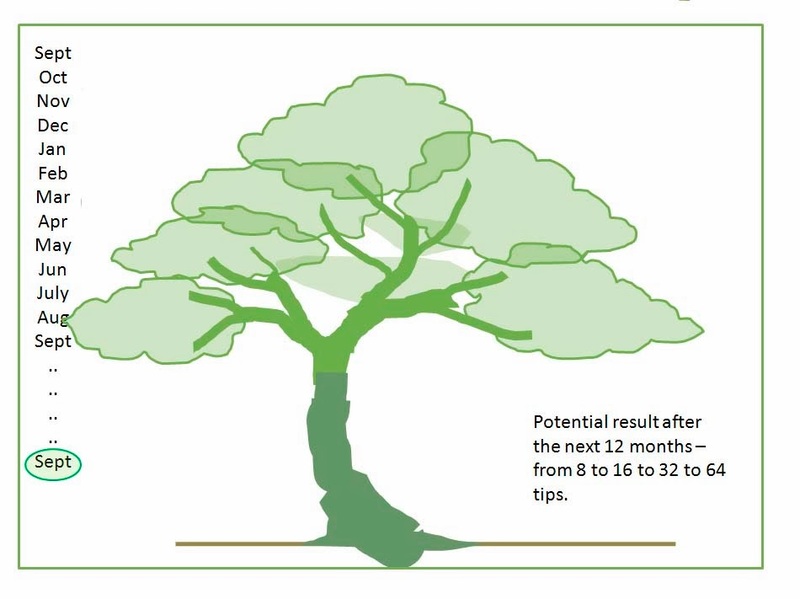 The same principles can apply to a larger target design, it's just going to take longer to develop the bulk and scale of the tree. Subtropical benefits!! !